Usually ships within 24 hours Mon-Thurs. AL, CT, DE, FL, GA ,IL, IN, KY, MA, MD, ME, MI, MS, NC, NH, NJ, NY, OH, PA, RI, SC, TN, VA, VT, WV, WI. Go Sports! Show off your love of the game with colorful arrangements of flowers ready for your patio. Choose from a large selection of professional sport teams from above for a pot filled with color-coordinated blooms. Give your home a splash of your team's color with these colorful flowers! Every order receives a flower pot filled with a large arrangement of colorful flowers ready to go. Simply remove the paper shield and let the already-grown flowers spread! Simply give it water and it will last through the season. Your order ships directly from our partner nursery in Glenwood, MD using FedEx or UPS Ground service Monday-Wednesday. Due the the fragile nature of living plants, we avoid shipping orders at the end of the week. Same day Express Shipping is available Monday-Thursday when we receive your order before 2pm EST. Any orders received at the end of the week will be shipped the following week, regardless of if you choose the Express option. If you order on Friday, Saturday, or Sunday, your order will be shipped the Monday of the following week. 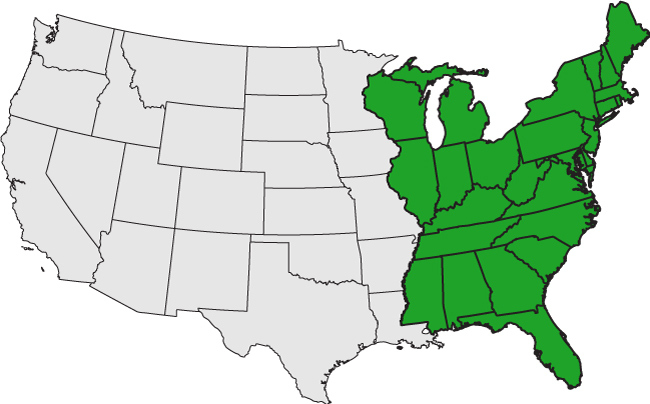 Since our plants are shipped freshly grown and potted out of Maryland, we can only offer shipping to states east of the Mississippi River. Shipping is available to the following states: Alabama, Connecticut, Delaware, Florida, Georgia, Illinois, Indiana, Kentucky, Maine, Maryland, Massachusetts, Michigan, Mississippi, New Hampshire, New Jersey, New York, North Carolina, Ohio, Pennsylvania, Rhode Island, South Carolina, Tennessee, Vermont, Virginia, West Virginia, and Wisconsin. In the very rare case in which weather may prevent delivery of tender plants intended as gifts, we will send an announcement of your gift and then ship as soon as it is safe. Love my Buckeyes and Bengals! Spring is here!